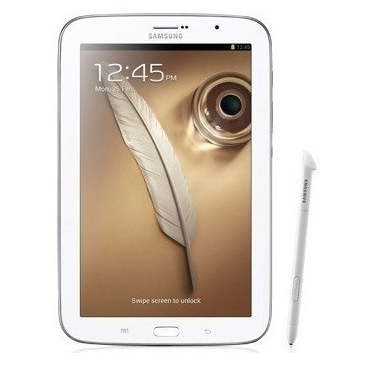 In the Android Police Galaxy Note 8.0 review, we mentioned that it would be a lot better with an adjusted price. 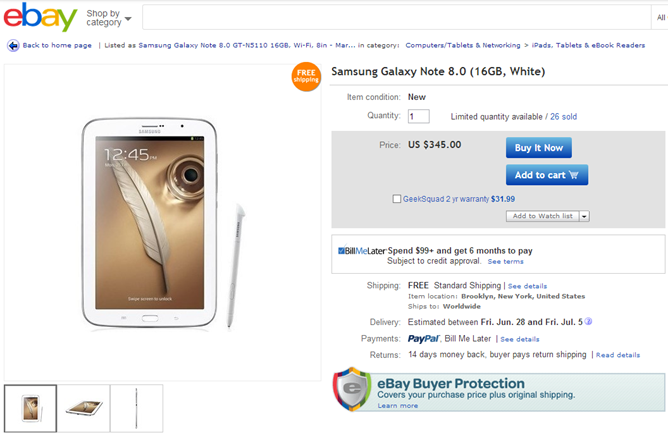 The Samsung tablet has already seen some pretty significant discounts, and today eBay has the WiFi version for $345. That's $55 bucks off the US retail price, plus free shipping and zero taxes, at least if you live somewhere that isn't New York or New Jersey. This isn't one of eBay's Daily Deals - presumably the sale will end when stock runs out. The $25 Google Play credit that Samsung is giving away for registering the device is still active, so if you know you'll eventually spend that much on the Play Store, you could look on it as another discount (though it's applied to the full-priced Note 8.0 as well). I'm still waiting for the Note 8.0 to hit an arbitrary $300 price tag where I'll recommend it unconditionally, but for those who like Samsung's design sensibilities, powerful mid-sized tablets, and the extra functionality that comes from a stylus and Wacom digitizer, it's a pretty good deal at the moment. If you want something other than the bland white that Samsung seems to insist on applying to every piece of hardware it will ever produce, there's also a brown/black version running around at full price.